The Mondi Holiday Bellevue offers a home-from-home experience combined with the facilities of a four star hotel. 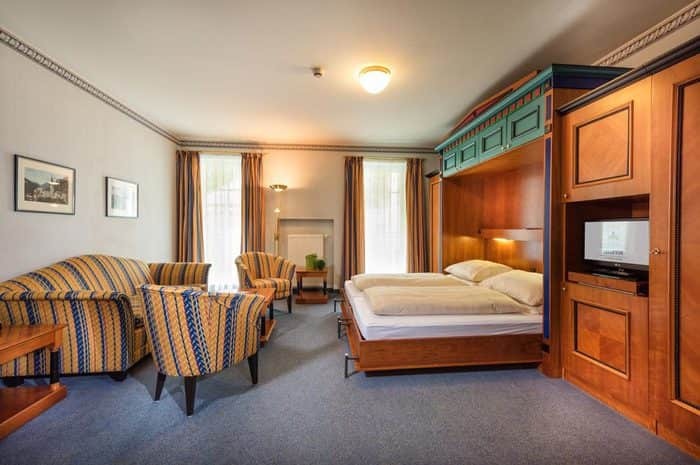 These cosy apartments are in a great location in Bad Gastein, with some of the areas main attractions nearby. The 'Felsen' thermal spa and the world famous waterfall of Bad Gastein is a mere stone's throw away, while the slopes are easily accessible. 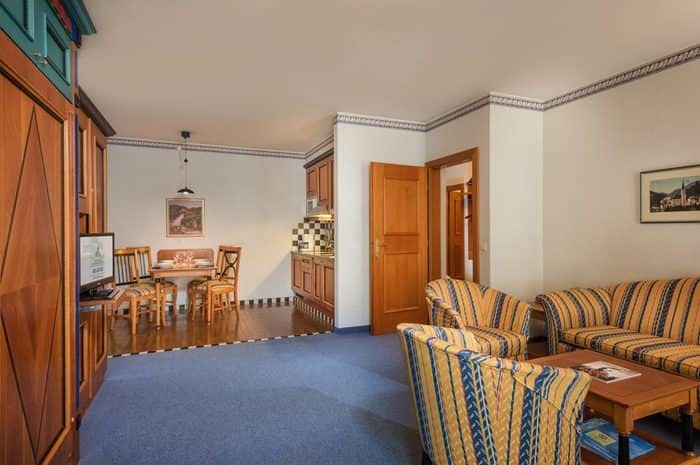 The Gastein cable car and ski lifts are less than a 10 minute walk form the apartments. There is an abundance of facilities on offer at the Mondi Holiday Bellevue. The large swimming pool is perfect for a relaxing swim in the evenings, while the Finnish sauna is the perfect place to relax your muscles. A steam bath and a relaxation room are also available. 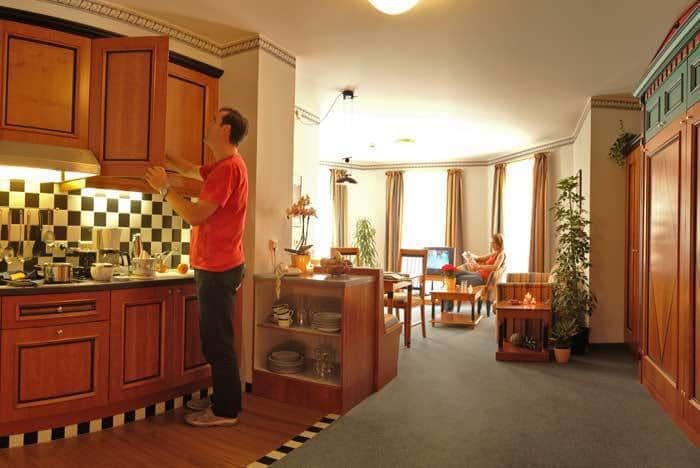 The apartments are comfortable, cosy and well-appointed. All apartments have a fully equipped kitchenette, safety deposit box, cable tv, radio and telephone. Almost all apartments have a balcony or patio with a view of the surrounding mountains. • A local tourist charge of approx. EUR2.70 per person per day is payable locally.